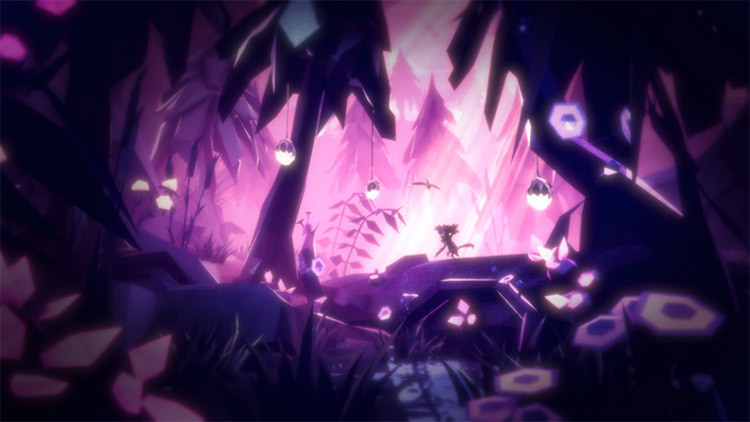 Fe is a new type of platform adventure where the story is up to you to discover, without handholding, told wordlessly through the discoveries you make during gameplay. Run, climb, and glide your way through a dark Nordic forest and explore its living, breathing ecosystem filled with secrets and mystical creatures. At the heart of the experience is a tactile, analogue song mechanic that allows you to communicate and speak to every living thing in the forest. Learn a diverse array of animal cries that allow you to befriend or manipulate any creature - even plants. Have birds guide you, bears fight for you and have plants grow berries that help you overcome the Silent Ones. Become Fe and discover a world that you will never want to leave. 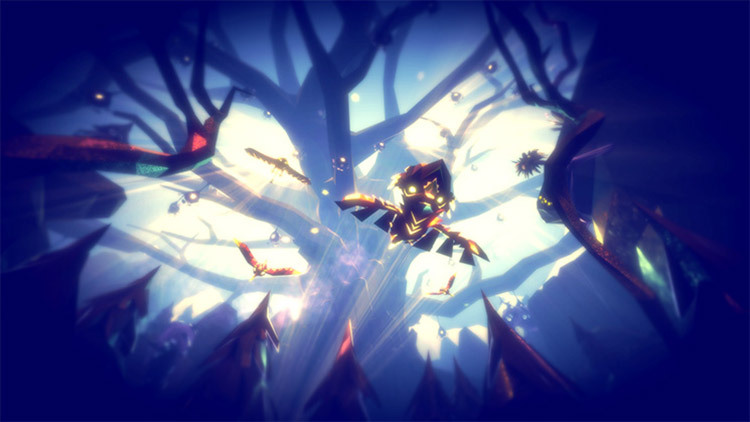 Fe stumbles at times, in part because of its sometimes elusive camera. But it’s memorable and beautiful, worthwhile simply for diving into an alien world and letting it carry you away with its sometimes adorable, sometimes breathtaking creatures. Fe is a short adventure, only coming in for me at about four to five hours. There's more to do afterwards, as the rest of the world opens up without the pesky enemies, leaving players free to explore. Given how frustrating some of the stealth sequences proved to be, part of me feels that this should have been what the game was from the outset, leaving players free to explore and only asking them to solve puzzles related to the songs. When you add to that the adorable Fe and the forest full of unique and mystical creatures, the singing mechanic and the gorgeous art style, it’s hard to imagine someone turning this game down, especially because it is nowhere near a standard full price. With simple controls, a fun mix of stealth, platforming, and an all-around magical experience, Fe is an early front-runner for a number of GOTY awards. The new loyalties, ages, governors, and civs are all well and good, but unfortunately, they fail to address the biggest bugbear in the Civilization VI closet: AI. Improvements to it should, of course, be included in the base game as well, but it's sad to see Firaxis unable to fix the often passive and sometimes irritably unpredictable computer opponents. And as before, on higher difficulty levels AI has to resort to blatant cheats via production bonuses and so forth. Ultimately, this review isn’t about what I, some bearded gaming dickhead on the internet, think. It’s about what you love and what you’re willing to forgive in a video game. If you can’t enough of atmospheric adventure games with plenty of identity and charm, and can ignore some shoddy gameplay elements, Fe is an easy game to recommend. If the opposite is true, then avoid Fe like the plague. There’s also a few disappointments with regards to the enemy encounters, as there were a few times when it seemed like the Silent were just thrown around the area. Death can come very quickly in Fe (it only takes a few seconds to die), and there were a few stealth scenarios that had me staring at the game’s loading screen since I kept dying. These didn’t occur often, and it was typically fun to outsmart these foes, but they definitely made certain parts of my playthrough feel like a chore rather than fun. Although there are certainly stumbling points, it’s the aspect of exploration that really makes Fe a memorable experience. It would’ve been easy for Fe to get lost in its potentially naval-gazing pretentiousness, and admittedly the overuse of post-processing as well as the story’s disjointed ambiguity does lend a degree of disconnect, but Fe mostly does enough with its gameplay and world-building for this brief adventure to offer a satisfactory level of enjoyment. Fe is going to stay with me for a long time. Zoink has sprung up from out of nowhere with a truly unique platformer that demands to be played by fans of the genre, extending its magic beyond its stunning appearance and into its vibrant open-world. After its 5-hour story concludes there's still plenty to do, from collecting crystals and unlocking new abilities to uncovering more hidden secrets, if you need any additional reasons to revisit its stunning forest. On the presentation front, Fe is visually stunning. The forest is a place that contains a full spectrum of beautiful colors and sounds. Hues of blues, purples, oranges and pinks contrast with dark blacks to make the visuals pop, forming an alluring world to explore. The mystery and wonder of this world is only amplified by ambient sounds and the accompanying instrumental soundtrack full of soothing violin and chimes. Fe is not a game for everyone, but those looking for something without a rigid structure will enjoy the pace of the game. As the game reaches a grand finale, I’m left with the satisfying knowledge that there is still much to explore, winkling out hidden gems and secrets. It’s one of those games that works for those who are happy sticking to the main quest, as well as completionists who want to see and collect everything. Some of the gem-collection challenges take practice and patience, but they are not required to complete the game. While Fe is a pretty game with some touching encounters and spectacular views, it falls prey to its own over-complicated story and a world that, for all of its beauty, doesn’t provide much incentive to explore. Adding in a system to guide the player by the hand helps players navigate the confusing paths from zone to zone, but removes any desire to wander around or see what else the forests of Fe have to offer. Overall, Fe is a fun and relaxing game, with cute puzzles and an adorable protagonist. It’s not the most challenging thing ever, but it’s not meant to be. While the camerawork could use some, well, work, and the story narrative is murky, neither of these factors impedes the game from being a delightful experience. While it wasn’t quite what I was expecting from an EA Originals game, I’m certainly looking forward to more of these types of experiences in the future. I don't want Fe to be the red flag that makes Electronic Arts reconsider the great idea of supporting comparable projects, but nothing about Fe is exciting or interesting. It tries to tell a story about animals overcoming adversity in a large interconnected forest, but falls short in just about every aspect. Fe is a decent puzzle platformer with some nice ideas, but it all rings a bit hollow in the end. The various songs are a fun way to interact with the world, but some are barely used at all, while you'll rely on others almost constantly. It can also be surprisingly difficult to control, with a camera that isn't always cooperative and platforming that isn't as tight as it needs to be, especially in an environment as vertical as this. The story, which strives to be poignant, fails to leave an impact, and while the world is a nice place to explore, there isn't a whole lot in it. 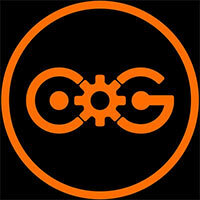 Ultimately, it's a fine game, but it struggles to leave a lasting impression. There is some beautiful background music, here a bit subtler than the OST in Journey, but the game itself does carry you through without the need of an epic soundtrack, occasionally piping up with some rather beautiful-sounding, Japanese-influenced music that wouldn't have sounded out of place in a Studio Ghibli film. We felt at times as though we were playing in a game that was somewhat inspired by the art of Spirited Away, and populated by large titans that look like they've wandered in from games like Shadow of the Colossus. 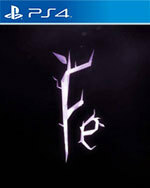 Fe is a thoroughly lovely adventure, full of wonder as you explore and lose yourself in this darkly wonderful forest. Its distinctive art style and the unusual creature designs conjure up something that’s both familiar and alien at the same time, which is only enhanced by the etherial lighting and the animals’ voices. A few nitpicking design issues and some shaky performance on Switch aside, it’s easy to recommend this charming game of discovery and singing. Fe is not bad game, and if it turns up in a sale – which we’re sure it will – for something like half price we’d still recommend it. But it’s problem is that none of its ideas feel fully-formed, from the lightweight platforming, to the underdeveloped interactions with other animals. For a game that’s all about singing, Fe is disappointingly one-note. 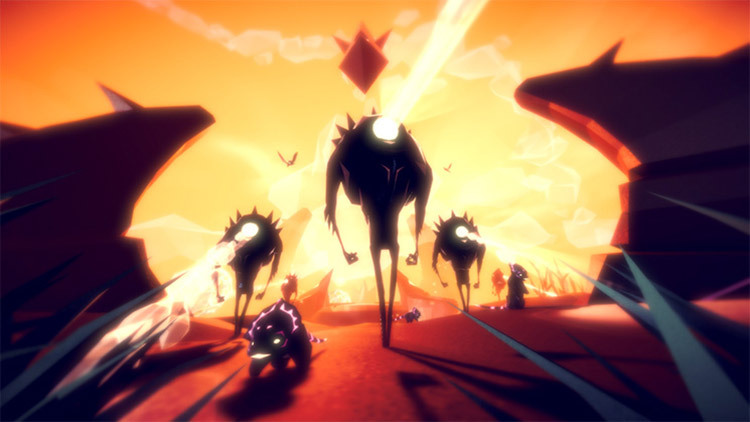 Fe features a charming aesthetic and a wonderful soundtrack that elevates with every beat. However, it suffers mechanically in key moments, requiring enough compensation to detract from the game’s overarching intentions. Still, there’s something here, but it’ll be behind a struggle. 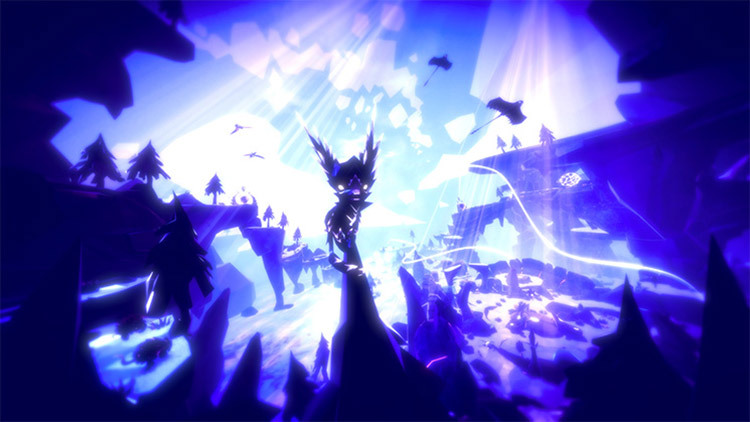 Fe is an artsy and clunky platformer that feels artsy for arts sake. The story is barely there, the movement isn’t fun, and it is an all-around let down. Fe no es un juego para los que buscan (solo) divertirse, sino para los que quieren sentir. Para los que disfrutan al perderse y los que saludan a los animales. Para los amantes de Ghibli y los que prefieren pasar el tiempo con buen libro de mitología escandinava. La propuesta de Zoink abraza el slow gaming y el minimalismo narrativo para transformarlos en el espíritu del título. Un título muy personal que solo puede ser disfrutado bajo sus propias condiciones. Los juegos independientes son balas de francotirador en un mundo de cañonazos en forma de súper producciones. Juegos que van directos a emocionarnos, a impactar directamente en nuestro subconsciente y unirse a esa lista de juegos que marcan una vida. La mayoría de ellos no consiguen ni siquiera tener una notoriedad en los medios, sin ir más lejos, en Steam se publicaron 21 nuevos juegos al día durante 2017. Fe es una experiencia para un solo jugador y no cuenta con ningún otro tipo de ayuda e interacción de la comunidad. Técnicamente hablando, es un juego que a veces sufre de problemas de cuadros por segundo, que experimentamos unas tres o cuatro veces en nuestro tiempo de juego (que osciló entre las cuatro y cinco horas) pero que sí fue bastante notorio. En cuanto a otros errores, te contamos que nunca pasamos un mal momento ni se arruinó la partida de ningún modo. Aunque a Fe le falta un punto de genialidad para ser memorable, el sello EA Originals se estrena con un notable título de exploración, plataformas y puzles que derrocha carisma. Fe, el primer juego publicado por el sello independiente EA Originals, es una sinfonía audiovisual a la naturaleza en forma de aventura de plataformas. El auténtico protagonista, un bosque low poly repleto de vida, sirve de escenario en el que el zorro que controlamos tendrá que salvar al resto de especies de los “Silent Ones”, unos alienígenas que están capturando a los animales, pero a los que también habrá que comprender. Un plataformas tremendamente original que encandilará a los amantes de los animales, gracias a la forma en que nos conecta a la naturaleza a través del lenguaje del bosque. 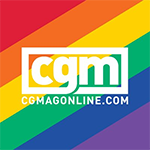 No termina de despuntar en los aspectos jugables y la sutileza de su narrativa puede desorientar, pero sólo por sus valores artísticos, merece la pena. Der erwähnte Moment passiert etwa nach einem Drittel der Spielzeit und wird hinsichtlich der Intensität und seiner emotionalen Wirkung bis zum Ende nicht mehr erreicht. Auch spielerisch wird das stimmungsvoll inszenierte Abenteuer danach zu gleichförmig, in einigen Momenten sogar vorhersehbar. Dennoch hat sich EA für den Start seiner Indie-Plattform „Originals“ mit Fe ein durchweg unterhaltsames Erlebnis ausgesucht. Le couplet est tombé : nous avons couru, sauté, plané, chanté dans les bois mystiques façonnés par Zoink!. Que l’on s’entende : Fe est un bon jeu de Plate-Forme 3D qui tord le cou à tout concept de frustration et qui se repose essentiellement sur sa direction artistique recherchée mettant en valeur son univers féérique. S’il ne dépasse jamais ses inspirations, il ne manque cependant pas de souffle lorsqu’il s’agit de composer avec les phases de recherche, d’infiltration et d’adresse. La fin pourra paraître incompréhensible, mais on ne peut que s’attacher à cette petite créature qui nous accompagne tout au long de l’aventure. Seul petit regret, les animations bâclées de certains animaux qui donnent l’impression de se déplacer de manière peu naturelle. Hormis ce petit défaut, Fe profite d’un design global alléchant et qui mérite le coup d’œil. Derrière ses atours de petite fable écolo taillée pour séduire les amis des bêtes comme un gif de loutres posté sur Twitter, Fe cache une aventure très joliment menée et bien plus riche qu'il n'y paraît. 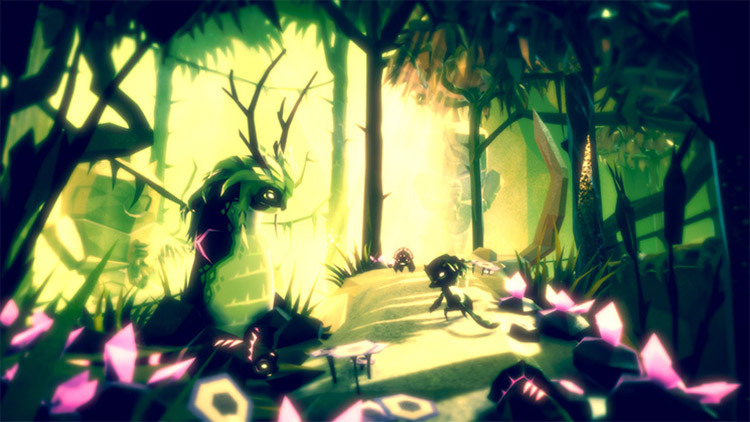 Grâce à sa mécanique articulée autour du chant et des interactions avec la nature, le titre de Zoink dévoile un gameplay accrocheur qui s'épanouit parfaitement dans un univers vaste, chargé de surprises et de secrets. 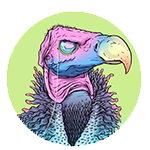 Fable animiste et apaisante, Fe remporte finalement son pari en parvenant à proposer une aventure dépaysante et à la direction artistique singulière qui laissera un bon souvenir à ceux qui se seront liés d'amitié avec les animaux de cette forêt chromatique. Son système de chants et de pouvoirs à débloquer grâce à une chasse aux cristaux permanente s'articule autour d'un level design ouvert, mais qui ne laisse jamais déboussolé. Fe è un'avventura sorprendente, artisticamente solidissima, piena di sequenze emozionanti ed evocative. Gli sviluppatori di Zoink! hanno dimostrato di sapersi cimentare anche con progetti molto diversi da quelli realizzati finora, e non può che farci piacere se il risultato è un titolo come questo, in grado di coinvolgere con le proprie atmosfere, strappare dei sorrisi per i versi che il protagonista e i suoi amici animali fanno durante l'esplorazione, impegnare in fasi platform talvolta scivolose, è vero, ma forti di una visione d'insieme concreta, con alcune soluzioni di gran classe. Il voto dato a Fe potrebbe indurvi a pensare che sia una produzione mediocre. No, perché è importante capire la scala dei valori con il giusto occhio, e Fe si attesa esattamente nel punto in cui merita di stare: poco sopra la media. Fe non è un titolo scadente, ma dall’altro lato non è neanche niente che non si sia già visto. Il nuovo titolo di EA Originals è una buona amalgama di tante altre avventure “emozionali” con un unico, grande pregio: il comparto sonoro. Se cercate un’avventura in grado ci commuovervi, lasciarvi un pensiero potente su cui riflettere, oppure un’esperienza emozionante non sarà Fe a darvi queste sensazioni. 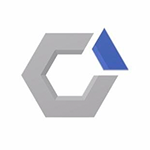 Tanto di cappello a Zoink per aver pensato e realizzato Fe e a Electronic Arts per averci creduto. Se siete alla ricerca di suggestioni ed emozioni soffuse e la mancanza di un tasso di sfida significativo o di meccanismi particolarmente profondi non vi spaventa, avete la possibilità di vivere una piccola, grande avventura. A cui non mancano imperfezioni e qualche scivolone, ma che riesce comunque a trasportare altrove il giocatore e a farlo suo con le immagini, i suoni e stuzzicandone la curiosità continuamente. В итоге, у студии Zoink! получился очаровательно звучащий, привлекательно выглядящий, но довольно простой и однообразный платформер, проходить который порой скучно, а местами — непонятно и неудобно. Оценить такую игру сложно: кому-то ее геймплей покажется приятным дополнением к неспешной музыке и необычной картинке, и он пройдет Fe за один вечер, получив удовольствие. Как и прошлогодняя RiME, Fe изо всех сил пытается сложно и таинственно рассказать простую историю, но получается как всегда: предсказуемо и скучновато. И если та же RiME, как и недавняя Crossing Souls, могли предложить хотя бы приятную теплую гамму и визуально богатый мир, то Fe бьет по глазам обилием блюра, вывернутой до предела яркостью и засильем пустых прямоугольных коробок. De unieke grafische presentatie en de prachtige muziek van Fe weten de game niet te redden van het feit dat het eigenlijk een middelmatige platformer is met repetitieve gameplay en een met vlagen te grove besturing. Het cryptische verhaal is daarbij niet voor iedereen weggelegd en is ook voor mensen met een rijke fantasie soms iets te vaag. Z Fe spędziłem około siedmiu godzin – po ukończeniu głównego wątku pokręciłem się jeszcze jakiś czas po bajecznym świecie, zbierając część ominiętych przy pierwszym podejściu sekretów. Jestem typem gracza, dla którego rozgrywka i fabuła zawsze stoją wyżej od oprawy wizualnej – z nielicznymi wyjątkami, kiedy zostaję oczarowany szatą graficzną. Zwłaszcza gdy bazuje ona bardziej na artystycznym podejściu niż samej szczegółowości tekstur czy realistycznych efektach – a produkcja Zoink Games zdecydowanie należy do tej kategorii.